ENG: When it comes to colors I definitely love grey, white and black (and khaki of course). So after my last affair with baby-jeansy-blue, this time I decided to bet on my 3 loved ones. But colors are not the only favorites here. I also chose elements of my outfit which I like the most lately. 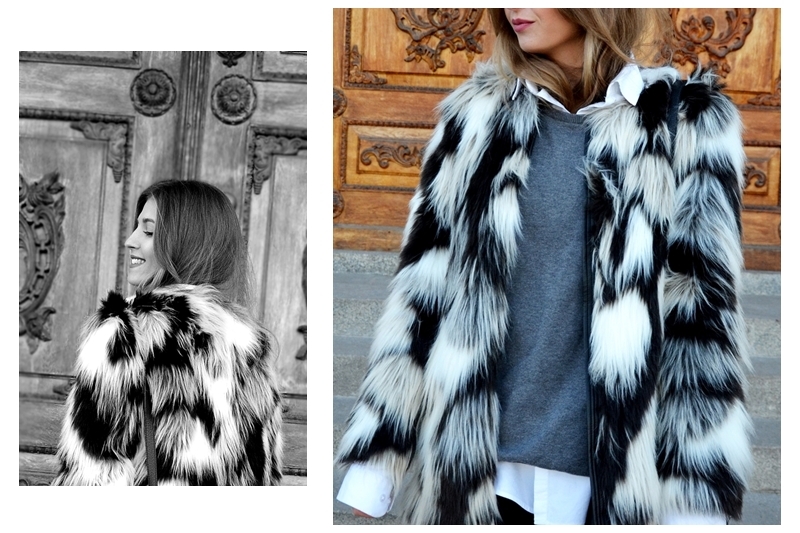 So here's short check list: faux fur - check! leather - check! stolen from my husband closet - check! Hope you like my outfit.